Service learning is a foundation of Quaker education, linking the classroom to the world and building our students’ sense of responsibility as members of communities, large and small. Friends students of all ages engage in service, from kindergartners collecting can tabs for the Ronald McDonald House to upper school students renovating a community center in Costa Rica. In the lower school, each classroom organizes service projects throughout the year, often with links to the curriculum (e.g. raising money for a wildlife protection agency during a study of Asia that included environmental issues and the habitats of endangered species). The entire lower school joins together for at least two division-wide projects each year: a bake sale at Homecoming to raise funds for a designated charity, and a December collection of hats, gloves, mittens, and scarves for our neighbors in need. 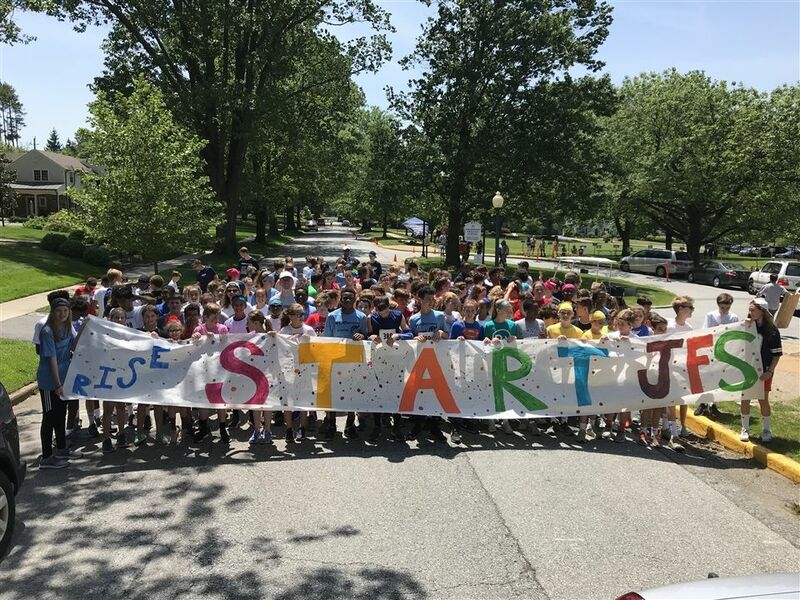 In the “Spring into Service 5K,” middle school students organize, staff, and participate in a run/walk, and as their “entry fee” contribute items, such as non-perishable foods, for a charity that the students choose each year. In seventh grade, each student completes an individual (or partner) off-campus stewardship project, which the students plan with parent and teacher approval. Eighth graders travel by advisory group (10-12 students and a teacher) for a morning of service at the same local agency, building a long-term community partnership for the school and providing a shared experience for the students. Reflection on service is an emphasis, through class presentations, discussions, and written work. Upper school students complete at least 50 hours of service with a single organization, with the goal of moving beyond “counting hours” to maximizing the impact of service learning. Students receive an agency evaluation, complete a self-evaluation, and make a presentation designed to pass the service experience on to others. In a number of cases—notably through a QUEST Center partnership with the Boys & Girls Clubs of Delaware and language department international service-learning trips—student service projects grow out of the school program. Student initiated service-based clubs and committees include Amigos Para Amigos (building on service at orphanages in Puerto Rico on a middle school Spanish trip), the B+ Committee, Best Buddies, and Half the Sky. In addtion to individual service initiatives, Friends upper schoolers participate in a day of service each September, helping at local organizations such as the following. Service is a foundation not only of the educational program but of the distinctive community at Wilmington Friends. Community building through service is part of student bonding activities at the beginning of each school year. It is expressed in long-term community partnerships with regular student and parent service at organizations like Emmanuel Dining Room. And it is part of our Homecoming events. Working together to express the Friends School’s values in action connects us – students, parents, faculty/staff, and alumni families – in a uniquely meaningful way.